This basic archival workshop will give attendees a holistic understanding of collections care by discussing fundamentals of archives, including governance, preservation, arrangement and description, storage, access and outreach. Specific examples will illustrate key points and a list of resources will be provided. 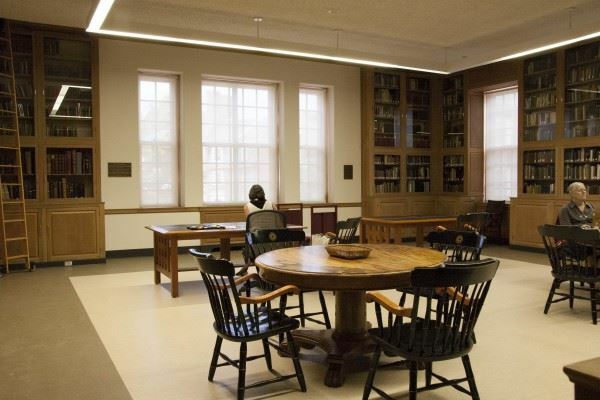 Colby Special Collections will provide coffee, tea, and cookies. This workshop is presented by Patricia Burdick, Assistant Director of Colby College Special Collections. Online registration will be open through June 4. To register after this date, contact Erin Rhodes at 207-859-5152 or enrhodes@colby.edu.